A year since Professor Neil Gemmell of New Zealand talked of his interest in conducting eDNA tests at Loch Ness, he has organised his team and equipment and will be arriving at the loch with the improving weather and before the tourist season gets into full swing. The subject has been covered here before, but the points are worth reiterating again as to what kind of DNA results may come out. Samples of water will be taken, the DNA strands extracted from the water, the DNA sequenced and the code compared against a database of known animals. What that shall reveal is not known to the full extent but there are things we can say in the points below. Firstly, the experiment should detect all the indigenous species in the loch and I would hope even the rarest of those species. Whether this will be achieved is not certain but if it does not detect everything known, can it assuredly detect everything unknown? Secondly, there is the matter of whether non-indigenous species will be detected. By that I mean animals which are not always in the loch but are there on a temporary basis dictated by seasonal, reproductive or purely random factors. In that list we include salmon, trout and seals. The fishing season began last month and so it is possible that DNA traces of salmon may be found, though perhaps it is unlikely they would be found if the tests were conducted in mid-summer and before the second salmon run. Seals are more interesting as they only appear in the loch every two years or so and therefore it does not seem likely they will be detected. What will also be of interest are the oft discussed catfish and sturgeon. Some believe catfish were placed in the loch decades ago and one may presume some traces will be found. Atlantic sturgeon have always been mooted as occasional visitors and so one would take that as a negative for eDNA tests. 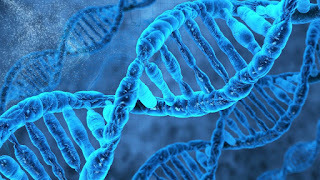 What is the big unknown for me is finding DNA which can be mistaken for something else. I say that because it seems unlikely to me that Loch Ness Monster DNA is going to be radically different to anything else. It is going to be related to something but what? And how different will it be to its nearest relatives that have been sequenced? Let us go through the list. Plesiosaur – the closest living relatives may be the turtle family. Long necked seal – how different would this be from harbour or grey seals? Paranormal Entity – No DNA expected to be found. Giant eel – DNA difference between the local three footers and a 30 foot specimen? Giant Invertebrates – How different would this be from the worms and mollusks in the loch? Itinerant monster – Any DNA at all to be expected? That is the unknown for me. How much DNA has to change to go from a five foot to a forty-foot creature? How much to extend the neck by six feet? I will leave that to the genetics experts, but I don’t expect any radical DNA to be found – Nessie has some place in an largely well known DNA tree of life. Two more things I suggested Professor Gemmell tries is to DNA analyse core samples taken from the bottom of the loch and also take water samples from the sides of the loch. I wish them well in their venture. Very intrigued to see the results. In the meantime canny wait for your blog on the video footage that wee lassie took. While I took some classes in genetics at University, it was decades ago. Are they able to detect DNA that is unknown, or can they only match up strands to known ones? How definitive do they feel their tests are? And what if they only detect firm matches with known animals, with no weird, slightly different, results? They will detect all the DNA in the water sample and sequence it. It will then either give perfect match to known species or it will come out as something close to a known species. It will be classed as "unknown" because the sequence is not yet in the genome database - for whatever reason. Incredibly exciting times. Modern technology appears to be re-booting the entire mystery. This blog, camera and drone technology, DNA surveys. It all feels very promising once more. new DNA doesn't prove a large monster, that is the problem. But no new DNA would eliminate some theories such as a herd of creatures regularly swimming in open water (which sonar disproved anyway). It wasnt long ago we had a debate about catfish living in loch ness. I think we are about to find out. Sure are, but if the last one died even a few months ago, eDNA will not find it. DNA only lingers for hours or days, so it has to be constantly replenished by the creatures in the water. Exciting times. A bit like the old days where anything was possible. Good luck to the professor. It would be interesting to see how much a DNA sample has to diverge from known sequences to be considered interesting. I am eager to see the results and wish them all the best. Folks it will be inconclusive - interesting but nothing concrete. Loch Ness would never allow any test of her waters to reveal a yes or no as to her mysteries. A recent article stated they will take 300 separate water samples from different depths, at least they will have variety! This will continue the mystery and not solve it. Results will produce inconclusive data. Something unexpected will turn up and they will require further analysis. Loch Ness has too many variables. I would hope they test all sides top to bottom, bed samples, side samples, silt samples, samples from the most undisturbed water in the Loch. One thing is certain. If they leave ANY room for error this test will be inconclusive. Adrian Shine should be involved in this test and a guide to the Loch. He would know how to produce the clearest results as far as samples go. I think this is exciting and I hope they find results that are extraordinary, results that defy logic!!!!! I also hope everyone gets it right and studies those deep dark waters. It may prove to be similar to sonar surveys - interesting hits, but always explained away. I'm amazed at the lengths people go to explain things away, or just ignore them. Nobody has provided any explanation for the two targets seen by Operation Deepscan, and no one feels the need to either. That bothers me, and I agree with you GB that the DNA data may be open to so interpretation to the point where it is dismissed out of hand. Hello Roland, I just found out that you will be a guest on the American Paranormal radio show "Coast to Coast Am" (www.coasttocoastam.com) this coming Thursday with George Noory. Your first time, yay! I was hoping that one day you would be tapped as a guest. Looking forward to it! 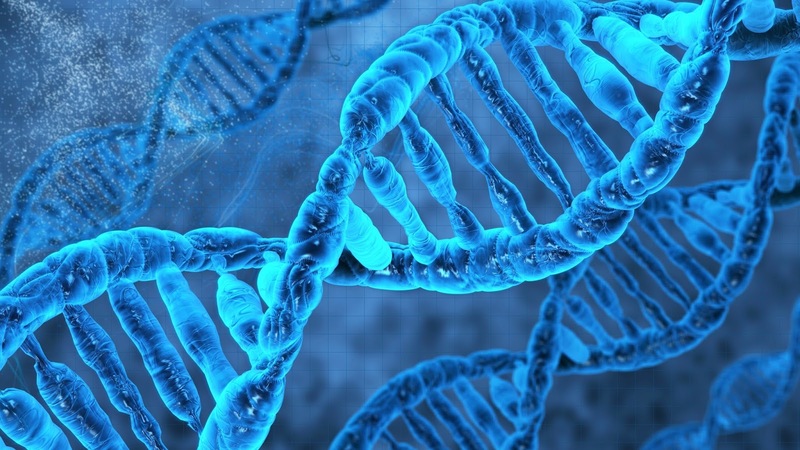 Curious to get your opinion- what if the dna tests detect nothing out of the ordinary? C. Nessie was there but died. D. Nessie currently out of the loch (itinerant theory). E. Nessie lives too deep and buried to be detected.